After the disastrous Planet X party, Noah Lake knows he must to learn to cope with his anger and bitterness, to learn to live as he is and not as he had been. He sets out on an impossible journey, alone. in the hopes of making himself worthy of Charlotte’s love, and to slay the demons of an old life that is lost to him. As he makes his arduous way across Europe, following Charlotte’s tour, Noah writes of his experiences that will become his memoir, and it is only after reading his words that Charlotte comes to fully understand the hardships Noah endured for their sake; a journey that nearly broke him in mind, body, and spirit. She knows what she must do: show Noah that while she is the light in his darkness, he is the music in her heart, and that without him, she’d be just as lost. 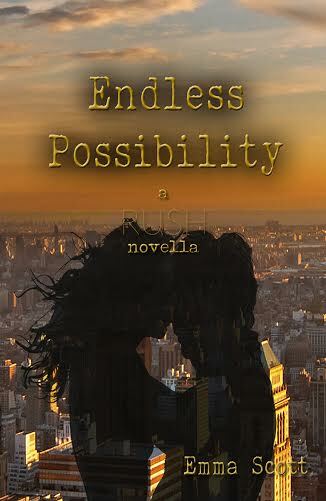 Endless Possibility is the final chapters in a love story about acceptance, peace, and the bond between two souls who have found their equal in each other, and the happily ever after they both deserve.